Now I just love getting my passport stamped, in fact I often choose my holiday destinations solely for the reason of getting extra stamps on my passport… its kinda weird but I just love the seeing the ink of the officers stamp leave his ink pad and leave its defining print on that little book known as my passport. In Monaco, there is no immigration point which protects it from the border with France, you can pretty much just arrive through the the border… which is sad when you think about it from a passport stamping perspective (although the view heading into Monaco is so amazing, below, you kinda forgive the lack of passport stamping). 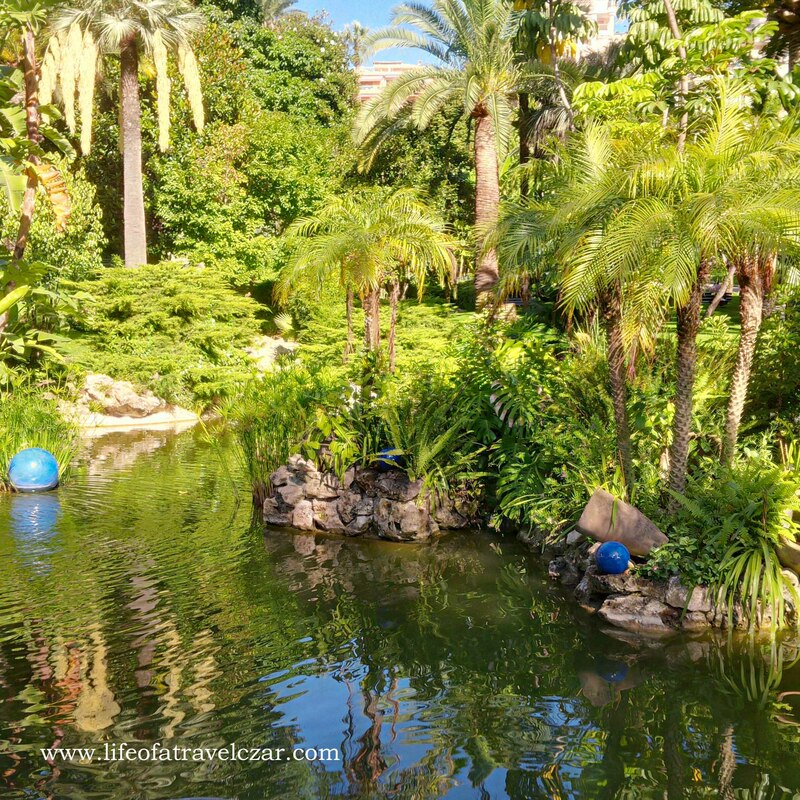 But there is a little known fact, that if you make your way to the Tourist Office (near the Casino and just past this beautiful pond – below), you can get your passport stamped to let everyone know you visited Monaco. I make my way to the tourist office and get to the counter and ask the guy serving me for a stamp. A girl who work there, steps in and tells her colleague she will handle it. She gives me the most beautiful smile and with keen eagerness pulls out the stamp and with all the effort she has places a clear and lasting imprint on my passport (and my heart at the same time). I love people who are enthusiastic about their job. She hands me back my passport, I gaze at her beautiful brown eyes and her silky brown hair and we exchange a few words. We are both flustered and well the conversation kinda ends there… she has other wandering tourists to serve and I have the day ahead of me.